To spark enthusiasm the students visited the Canterbury Museum and toured the Paua Shell House, before looking at other Kiwiana icons. There was also some cross-curricular learning happening here, with students working on area and proportion in Maths, where Mr Dekkers tasked them with designing their ultimate Kiwi bach (holiday home). Where would the mountain bikes and surfboards be stored? Having gained experience in Maths using Minecraft, this was extended to the inquiry topic where the challenge was to research iconic Kiwiana features of New Zealand and then include them into a Kiwiana theme park. Using “Tasks” that could be ticked off when each job was completed – this meant they knew exactly who had to do what. Having the “show contributors” turned on so the initials of each group member was alongside their work, meaning they could see who had contributed what to the research. Storing images in the notebook as examples for when they started to build their Minecraft theme park. Use of highlighting – key words / concepts were highlighted to ensure they would be include in the theme park and oral presentation. Using their iPads and OneNote to read their notes from during the actual presentation. 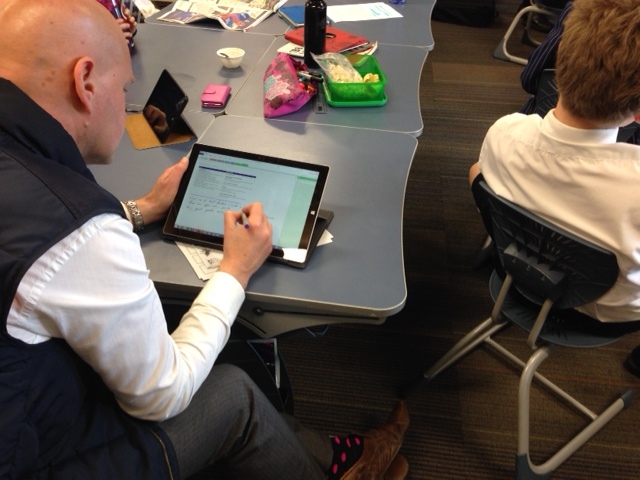 Mr Dekkers writing feedback directly into their OneNote notebook during the presentation so by the time they finished they would see his comments. One of the skills that Mr Dekkers was focusing on as part of this Inquiry unit was synthesising information found as part of their research with their own ideas, discussions and information from their parents. This allowed the conversation to include plagiarism and why this is a serious issue – a great way to remind students that being a good Digital Citizen includes protecting and respecting the intellectual property of others that has been shared online (see this post for more information on Digital Citizenship). Whilst plenty of technology was being used in this unit and presentation, it was very much in the background. It was not being seen as a distraction, but rather a tool to get the job done. 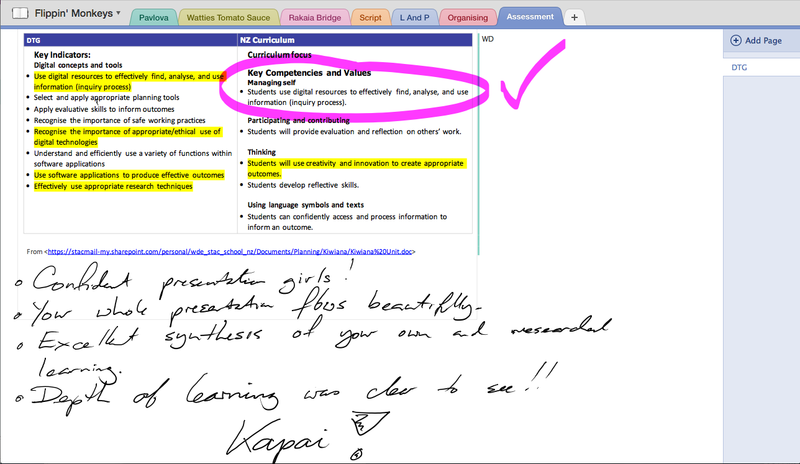 Students made great use of OneNote as a shared document that was accessible anytime, anywhere for them to record their research. Students were accountable to one another and their teacher as it was evident who had contributed what to the notebook. Interest, engagement and enthusiasm from the students was very high – they loved the “gamification” of their learning by being allowed to use Minecraft to design a theme park. Students were keen to share their learning – they wanted their Principal and Director of ICT to see their learning – they were proud of their efforts. This kind of cross-curricular learning, with deep and authentic integration of technology is incredibly pleasing to see in our classrooms. 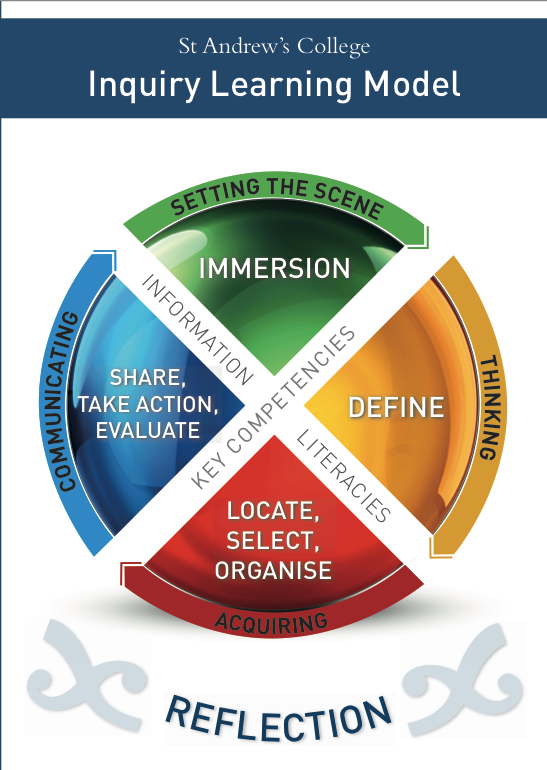 This entry was posted in Digital Citizenship, eLearning, Maths, Preparatory School, Social Sciences and tagged Apple, BYOD, Collaboration, Digital Citizenship, Gamification, Information and communication technologies in education, Inquiry, iPad, Maths, Microsoft OneNote, Minecraft, Office365, Plagiarism, Preparatory School, Student engagement, Student Work, Surface Pro 3, Synthesising, Technology, YouTube by Sam McNeill. Bookmark the permalink.